Professor Nikhil Bansal of the Department of Mathematics and Computer Science has been awarded a Vici grant of one and a half million euros. He is one of the 35 academics to receive this grant from NWO this year. Bansal aims to use his grant to develop new algorithmic methods to make discrete decisions in a continuous way. He expects this to lead to applications in the fields of logistics, bio-informatics, chip design and machine learning. Bansal will partly perform his research at the Center for Mathematics and Computer Science in Amsterdam. Computer science researchers often work with discrete objects like strings and circuits. It is important to understand how various optimum patterns of these objects look like, and how to find them algorithmically. Traditionally, these questions have been studied using methods from discrete mathematics. But recently these problems are approached by using surprising methods from continuous mathematics. This methodology however is not fully understood yet. 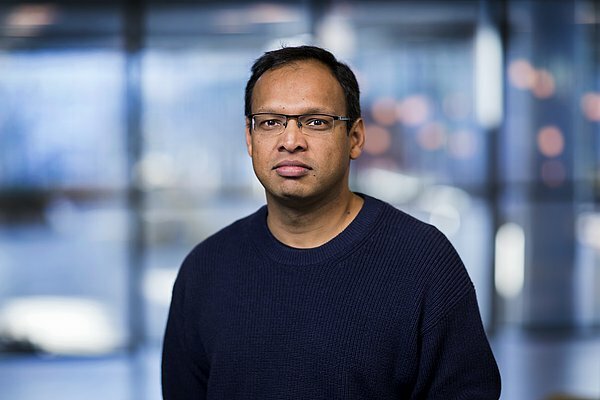 Bansal will use his grant to develop new algorithmic methods at this interface between continuous and discrete mathematics, including very general methods. The project is based on earlier research of his group into algorithmic discrepancy, which led to breakthrough results within this field. Today NWO announced its annual awards of the Vici grants. Of the 233 applicants 35 academics received the grants of one and a half million euros. The ‘Vici’s’ are geared towards advanced academics to help build their own research groups. The grant is one of the biggest academic grants in the Netherlands awarded to individuals.